Controversial Fifth Circuit State's Attorney BRADLEY KING covered up the Michelle O'Connell case as special prosecutor. Now BRAD KING wants a seat on the Florida Supreme Court. He's being interviewed on November 28th by Florida's Supreme Court Judicial Nominating Commission. The Chair of Florida's Judicial Nominating Commission is GrayRobinson Managing Shareholder JASON L. UNGER, liquor lobbyist (and lobbyist for other regulated industries), a longtime Tallahassee Republican apparatchik. JASON L. UNGER plans to hold the meeting of the Commission in his 300 lawyer law firm's office in Orlando. For reasons of appearance of impropriety, I've asked him to move it to a Courthouse or government building. He asserts that "logistical" reasons mean the location can't be changed. He won't explain why he's holding the meeting in his law firm office building, instead of a proper location in a Courthouse or other government building. I'm sure that the Orlando Public Library or a local University could make available an auditorium, free of the appearance of lobbyist influence. A thumb drive with redacted applications will be sent tomorrow and a second thumb drive with letters of recommendation will be sent next week. I have no ability to place the documents on the websites you’ve referenced but have relayed your request to the Governor’s legal office. Pursuant to JNC policy, the published Notice of Applicants Sought for Florida Supreme Court Vacancy required the applicants to submit, in addition to the original application, an electronic redacted copy of the original application which excludes all material that is exempt or confidential under applicable public records laws. Upon your review of the redacted applications, please let me know if you believe an applicant improperly redacted information. I appreciate your suggestion on the meeting location but, for logistical reasons, we cannot accommodate that request. 1. Please send thumb drives. 2. Please place all documents on judicial, Florida Bar or Governor's website. 3. Please identify specific F.S. 119 statutory exemptions for each redactions with a Vaughn index. 4. Please answer my question and kindly change meeting location from GrayRobinson offices. I have redacted applications and letters of recommendation available for inspection and/or copying, or I can mail you thumb drives. Thank you again. Please place on the Florida Judicial Nominating Commission website so all can read it. I can have all Supreme Court applications for this vacancy (with legally exempt information redacted by the applicants) copied to a thumb drive and mailed to you today. Please advise as to the mailing address. I will ask my assistant to create a second thumb drive of recommendation letters and send that to you as well early next week. Thank you for your patience. To: Jason Unger; nildapedrosa@gmail.com; cynthiagangelos@gmail.com; karlinskyf@gtlaw.com; dnordby@shutts.com; jpanuccio@foley.com; ireyes@reyeslawfirmpa.com; jeanne@jtatelaw.com. 1. Why are your November 28, 2016 interviews of Florida Supreme Court applicants being held in the offices of a corporate law firm, GrayRobinson, a 300 lawyer corporate law firm with 13 locations in Florida, representing ? 2. I object to this corporate law firm meeting location as, at best, an appearance of impropriety. 4. Meeting location is important and symbolic, just like polling place location. Ever since the 2000 election, Democrats and Republicans alike have complained that our voting system is vulnerable to fraud and manipulation. They have scrutinized “hanging chads,” “hiccupping” and “choking” voting machines, miscounted absentee ballots and e-votes that leave no paper trail. Now, though, they may have something more subtle to worry about: the location of polling stations. This year, Jonah Berger, Marc Meredith and S. Christian Wheeler, researchers at Stanford University’s Graduate School of Business, released a study suggesting that where you vote may significantly influence how you vote. After analyzing data from Arizona’s 2000 general election, the Stanford researchers found that voters were more likely to support raising the state sales tax to support education if they voted in schools. This bias remained even when results were controlled for voters’ political views and demographics. In a follow-up laboratory study, subjects were asked to vote on a number of initiatives, including California’s 2004 stem-cell-research financing proposition. Before casting a vote, each subject was primed with a picture of a school, church or generic building. Voters were less likely to support stem-cell initiatives when presented with images of a church. It’s a discomfiting insight: a person’s vote, a hallmark of democracy, may be biased by polling environment. Yet this has nothing to do with dirty politics or foul play. Rather, it’s a fairly basic principle of psychology — the idea that environmental cues can trigger ideas and affect our behavior without our being conscious of it. If you’re voting in a school, then the part of your brain that values kids and education might be activated, whereas if you vote inside a church, your ideas about spirituality might be invigorated. For some people, it seems, a change in location is enough to change a vote. "Voting-Booth Feng Shui," by Adrienne Davich, New York Times Magazine (December 10, 2006). 6. From this day forward, please hold all Florida Judicial Nominating Commission interviews and meetings in courthouses or other ADA accessible, neutral, government building. 7. Please send me copies of all the Supreme Court vacancy applications and recommendations. Jason concentrates his practice in the areas of governmental affairs and administrative law matters, and regularly works with the executive branch agencies and the Legislature on behalf of his clients. Prior to joining GrayRobinson, Jason served as Special Counsel to the Florida House of Representatives. While at GrayRobinson, he represented George W. Bush and Richard Cheney in the 2000 presidential election contest; the Florida House of Representatives in redistricting; the Republican Party of Florida; and members of the Legislature in election law matters. In 2001, Jason was appointed by Gov. Jeb Bush and U.S. Congressman E. Clay Shaw, Jr. to the Florida Federal Judicial Nominating Commission. In 2005, Gov. Bush appointed Jason to the Florida Sports Foundation. Since 2008, Jason has served on the Supreme Court Judicial Nominating Commission (JNC). He was originally appointed to the Supreme Court JNC by Gov. Charlie Crist, then Gov. Rick Scott reappointed him to the commission in 2011 and again in 2016 for a term through 2019. Jason was also nominated to serve as chairman of the JNC in 2016 for a one-year term. Jason was born in New Jersey and has lived in Florida since 1982. 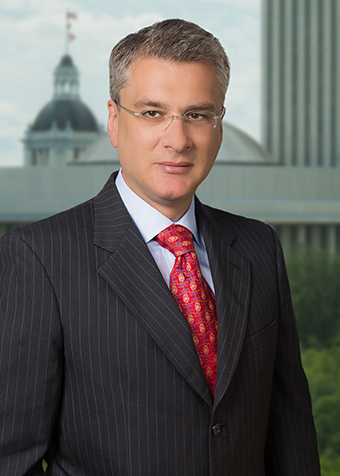 He received his bachelor's degree from the University of Florida in 1990 and then went on to receive his juris doctor from the University of Florida College of Law in 1993. He moved to Tallahassee from Fort Lauderdale in 1998.